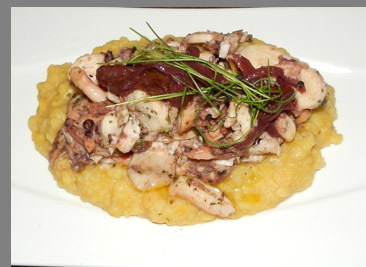 Chef Maria Loi's restaurant, Loi Estiatorio located at 132 West 58th Street in New York City, focuses on healthy Greek Mediterranean cuisine. Greeks are renowned for their wonderful cuisine and their gracious hospitality, both of which are in abundance at Loi Estiatorio. 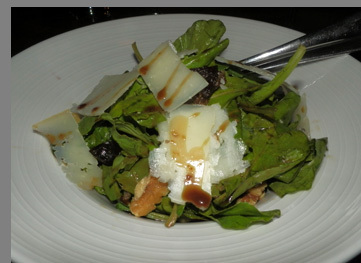 The food is sumptuous, well-presented, and healthy, the ambience is warm and welcoming, and the service is excellent. We entered as strangers and left as friends. 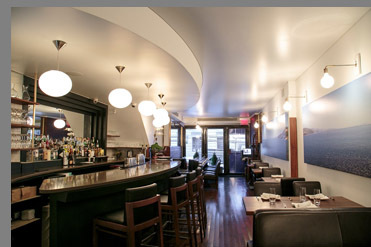 Although located on the West Side of New York City, the restaurant evokes images of Greece with three panoramic seascapes of the Nafpaktos port that line one wall of the main dining room of the restaurant, buttery soft black leather high back chairs flank dark wood tables accessorized with oil burning candles, pristine ivory napkins, and sparkling crystal. There is also a private dining room located in back of the restaurant, and an intimate bar with 9 seats for friends to gather pre or post-dinner. However, it is the warm welcome from General Manager Alex Antimisiaris and Chef Maria Loi that greets each guest that sets the tone for the dining experience. 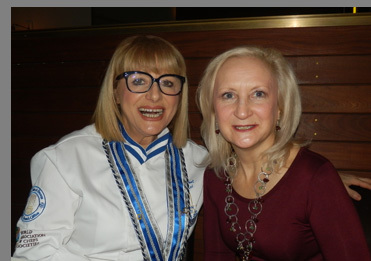 The 71-seat restaurant opened on Valentine's Day on February 14, 2015; Luxury Experience had the pleasure of having dinner at the restaurant and met with Chef Maria Loi in late January 2016. We began our dining experience at Loi Estiatorio with glasses of the Greek wine, Pandeia White Dry Wine, 2014, Dougas Winery, from the Tempi Valley, made from the Assyrtiko grape varietal, which was aromatic, had medium body, creamy mouth feel, with ripe peaches and a hint of citrus on the palate, and the Pandeia Red Dry Wine, Dougas Winery, from the Tempi Valley, made with a blend of Cabernet Sauvignon, Xinomavro, and Krasato grape varietals, which had a deep ruby color, and was headily aromatic with dark dried fruit on the nose and on the palate, to enjoy with one of Chef Maria Loi's signature appetizers, the Htapodaki Stin Schara (Octopus), which was cooked with red wine, and served with macerated onions and bell pepers, with bloomed capers on a bed of "split yellow peas," known as Fava, a dish native to the island of Santorini. The octopus was gorgeous and a fabulous introduction to Chef Loi's culinary vision, simplistic, yet very tasty, approach to cooking. 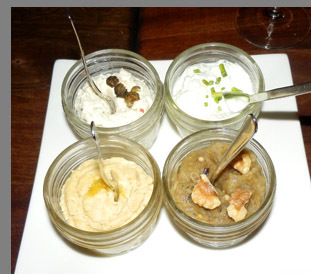 Next there was Chef Maria's Pikilla (Spreads), which were four glass jars of Tzatziki, Tyrokafteri, Melitzanosalata, and Hummus arranged on a plate, accompanied by a bowl of shortbread and Greek bread. Each spread was delicious, a meld of cool and spicy flavors on the palate; the Tzatziki, cool and crunchy, made with cucumbers, yogurt, dill, garlic, and red wine vinegar, the spicy Tyrokafteri made with Greek Feta cheese and chilies, the Melitzanosalata made with grilled eggplant, olive oil, garlic, and lemon juice that had a creamy mouth feel to it, and the soothing Hummus. Which was our favorite? All of them. 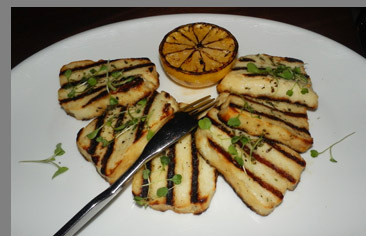 We followed that with the Halloumi Psito appetizer, which was grilled Halloumi cheese with olive oil, Greek oregano, and served with a grilled lemon, one of the specials on the daily menu. For those not familiar with this type of cheese, it is a semi-hard cheese from Cyprus made with unripe brined cheese made from a blend of sheep's and goat's milk. Its rich density lends itself to grilling that when enhanced with brushed olive oil, Greek oregano, and a squeeze or two of grilled lemon it is very tasty and extremely satisfying with its "meaty" texture. 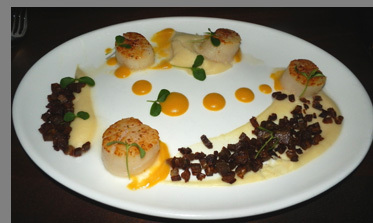 Next there was the Htenia (Scallops), which were Diver scallops, artistically presented with house-made lamb bacon, seasonal fruit coulis (peach on the night that we dined at the restaurant), and parsnip purée. This was a stunning example of beauty and flavors, the golden Diver scallops with their slight salty taste of the sea enhanced with the small cubed house-made lamb bacon, complemented by the sweet peach coulis, and the earthy parsnip purée was a delicious mélange of flavors and textures. We finished our appetizers with the very tasty Roka (Arugula Salad) made with full grown arugula, walnuts, candied figs, shaved kefalograviera, (a Greek hard cheese made from sheep's milk or a blend of sheep's and goat's milk) and lightly dressed with honey-balsamic vinaigrette, that also acted as a lovely palate cleanser. 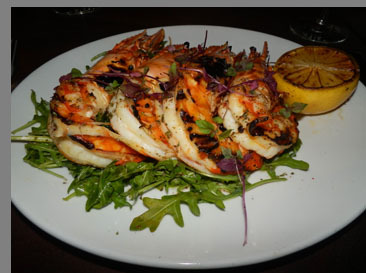 For one of our entrées, we had the Karavidogarides (Tiger Prawns), one of the night's specials that consisted of four amazingly large grilled prawns presented on a bed of arugula with a grilled lemon, olive oil and lemon sauce, and accompanied by Kounoupidi, which was tomato steeped cauliflower. We also had the Kokoras Krassatos (Rooster), another special, as rooster is not something that you find on many restaurant menus, and we wanted to try it. 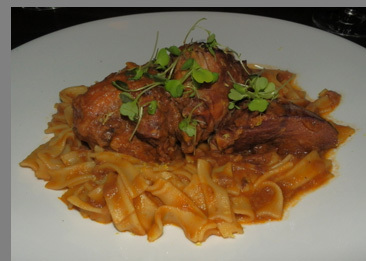 The rooster was braised with red wine, tomatoes, onions, cinnamon, lemon, and was fork tender and melted in your mouth, and presented on a bed of and Loi Hylopites, Chef Maria's own pasta line, with rich and satisfying flavors on the palate. 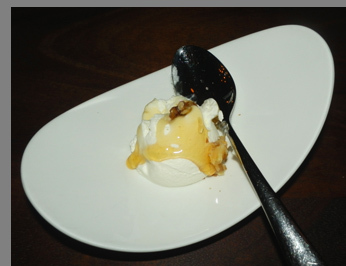 We finished a perfect evening of dining at Loi Estiatorio by sampling a few of the Glyka (desserts), the Baklava, the Ekmek Kadaifi (Custard), and the Yiaourti (Yogurt). 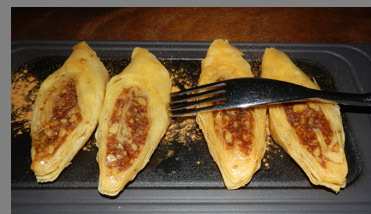 What we especially liked about the Baklava made with phyllo, walnuts, cinnamon, and olive oil, was that it was light, delicious, with not a lot of layers of phyllo and a generous amount of walnut filling. Made with olive oil instead of butter, which Chef Maria does not use at Loi Estiatorio, the dessert had richness without being overly heavy or excessively sweet. 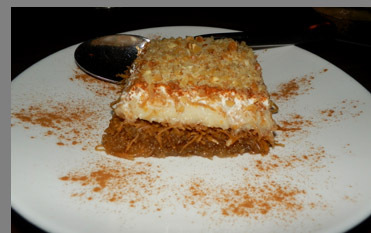 Also nice was the Ekmek Kadaifi (Custard), made with shredded phyllo, custard, cinnamon, whipped cream, and almonds. This was an intriguing blend of textures and tastes that one could easily become semi-addicted to eating. Delicious! Chef Maria Loi makes her own yogurt, and we finished our dessert sampling with the Yiaourti (Yogurt) made with Loi Greek Yogurt, and topped with Cretan Honey, (a dark Greek honey from Crete), and walnuts, proving that desserts can be tasty, have a richness to them, and most of all, still be healthy and good for you. Speaking with Chef Maria Loi, we learned that she is not someone to simply rest on her cooking laurels, she is a non-stop dynamo who has written over 36 cookbooks, and her latest cookbook, The Greek Diet (Look and Feel Like A Greek God or Goddess and Lose Up to Ten Pounds In Two Weeks) with 100 Mouthwatering Recipes Based On Science, co-written with Sarah Toland, a veteran health-journalist and former Olympic-level athlete, is available at the restaurant and also from HarperCollins e-books. Chef Maria Loi also has a line of Loi products coming to Whole Foods - pasta, Greek orzo, olive oil, and her spreads so be on the lookout for their arrival. She also has a line of kitchen appliances available. Now that we have "discovered" Loi Estiatorio we look forward to returning to the restaurant to explore more of the intriguing items on the menu including the lamb which Chef Maria Loi purchases from her purveyors in Upstate New York and Colorado as the quality and flavor is very similar to the lamb in Greece. As they say in Greek, Yamas ("cheers") and Kalí órexi ("enjoy your meal"). Read the interview to learn more about this impressive chef and get recipes from Chef Maria Loi in the Chefs' Recipes section. Loi Estiatorio is open for Lunch Monday - Friday from 12:00 pm until 3:00 pm, Dinner Monday - Saturday from 5:00 pm until 11:00 pm, and Sunday from 5:00 pm until 10:00 pm.